(Bloomberg) -- The hangover business has been booming for Ellie. 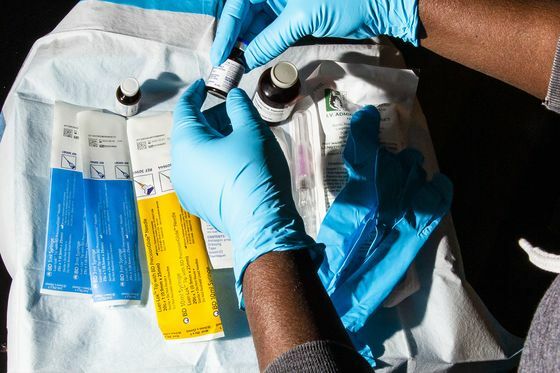 A New York nurse who used to treat patients in critical care, she now routinely shows up in the offices of hedge funds and hotel penthouses to deliver intravenous drips loaded with saline, vitamins and other drugs to help the wealthy and well-known undo a night of overdoing it. Ellie, who works for a company called NutriDrip and asked that her last name not be published because of a non-compete agreement, has treated “quite a few billionaires, lots of models, some musicians and athletes,” she said. Why suffer? If you believe it works—and not everyone does—hangovers these days may be only for those who can’t pay up. The sessions cost several hundred dollars in most cases. They occupy a niche in what burgeoning providers prefer to cast as a trend toward “wellness” in an I.V. bag, rather than an unseemly hangover insta-cure. The U.S. Food and Drug Administration won’t comment on I.V. drips, other than to say it doesn’t regulate them. Doctors question if the treatments are effective for hangovers. 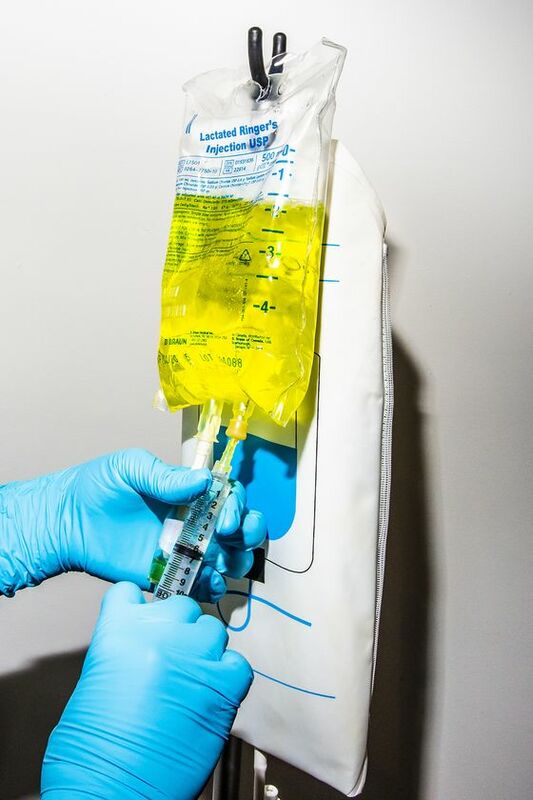 Last year, the Federal Trade Commission cracked down for the first time on one such company, iV Bars Inc., which advertised drips for serious medical conditions including cancer and congestive heart failure. The company now advertises vaguer treatments for “performance,” “re-hydration” and, yes, hangovers—none of which appears to be banned by the FTC. The company didn’t respond to requests for comment. Gwyneth Paltrow’s Goop website wrote about eight I.V. companies selling drips for “detox, beauty, immunity and performance,” many of which also offer hangover treatments. Among the companies: Infuse Wellness in Santa Monica and NutriDrip, which has I.V. bars in three locations in Manhattan and operates a division called the Hangover Club. The in-room menu at the Ned Hotel in London offers bedside I.V.s, ranging from $200 for “hydration” to a $260 “libido boost.” A “detox” will set you back $365. The I.V. Doc offers what it calls the “deathbed” treatment for mornings when you “can’t get out of bed or off the floor.” It costs $249 and includes the drugs Zofran for nausea, Toradol for headaches and Pepcid for heartburn. “It’s not clear to me that Toradol is any better than Advil in treating hangover symptoms," said Robert Shmerling, who has a medical degree from Harvard University and practices rheumatology at Beth Israel Deaconess Medical Center in Boston. The I.V. business took a step into the limelight in 2012, when anesthesiologist Jason Burke bought what’s now called the Hangover Heaven bus in Las Vegas for $80,000. He considered driving it to New York, but the lucrative party scene on the Strip kept him in Sin City. Burke’s website, which showcases his medical degrees from the University of North Carolina and Duke University, offers three I.V. hangover treatments: Salvation, Rapture and Eternity. They cost up to $329, and the Rapture and Eternity cures include 20 minutes of oxygen. They’ll come to your hotel room or treat you on the bus. Group discounts are offered, as is discreet billing. “People don’t want to go back home and have the accounting department ask what the $600 charge to Hangover Heaven was,” Burke said. Credit card charges show up as Vita Heaven. Burke says half the people he treats have probably been using cocaine or ecstasy. Alcohol is the primary vice of choice before soliciting a hangover treatment in New York, according to Adam Nadelson of the I.V. Doc and Maurice Beer of NutriDrip. Some doctors, among them those who work remotely with a nurse via teleconferencing, say there are limits to what they’ll treat. Burke, for example, says he won’t treat anyone with high blood pressure or a heart rate over 120 beats per minute. NutriDrip won’t see patients younger than 18 or older than 75 years old, but someone high on marijuana would be fine to treat, Beer says.